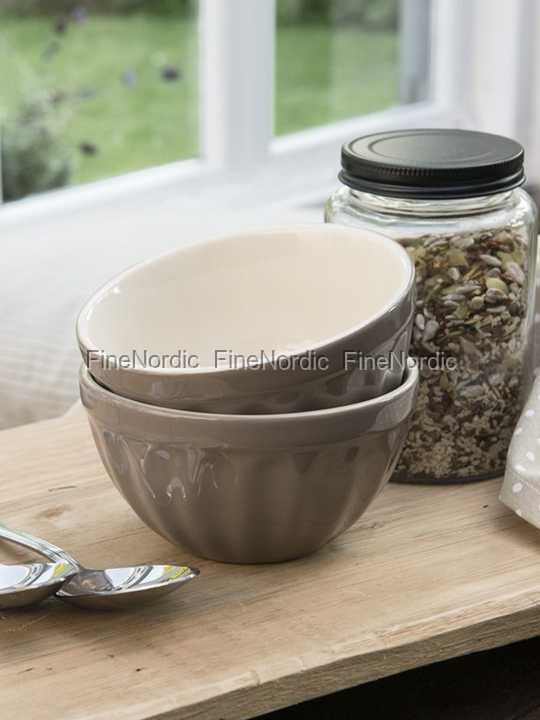 The cereal bowl by Ib Laursen in Milky Brown not only looks good, you can also use it for many different things. In addition to cereal, maybe a fruit salad, pudding, a portion of chips or an appetizer soup can be eaten from this 400 ml bowl. The light inside combined with the milky-brown, wavy outside make it a real eye-catcher on the table. If you like it more colorful, you can add different colored Ib Laursen Mynte cereal bowls to the table. The bowl is available in many different colors in our web shop. So everyone in the family can choose their favorite color. However, the bowl is not only pretty to look at, but also super practical for everyday life. Because it is suitable for the dishwasher, the freezer, the microwave and the oven. Once again, well done, Ib Laursen, well done!